University of California Press, 9780520216426, 328pp. The Sabras were the first Israelis—the first generation, born in the 1930s and 1940s, to grow up in the Zionist settlement in Palestine. Socialized and educated in the ethos of the Zionist labor movement and the communal ideals of the kibbutz and moshav, they turned the dream of their pioneer forebears into the reality of the new State of Israel. While the Sabras made up a small minority of the new society’s population, their cultural influence was enormous. Their ideals, their love of the land, their recreational culture of bonfires and singalongs, their adoption of Arab accessories, their slang and gruff, straightforward manner, together with a reserved, almost puritanical attitude toward individual relationships, came to signify the cultural fulfillment of the utopian ideal of a new Jew. 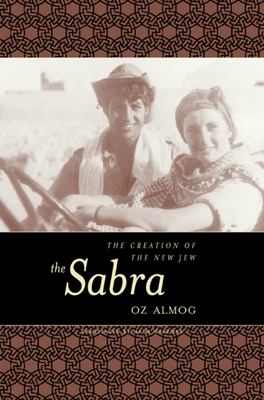 Oz Almog’s lively, methodical, and convincing portrayal of the Sabras addresses their lives, thought, and role in Jewish history. The most comprehensive study of this exceptional generation to date, The Sabra provides a complex and unflinching analysis of accepted norms and an impressive appraisal of the Sabra, one that any examination of new Israeli reality must take into consideration. The Sabras became Palmach commanders, soldiers in the British Brigade, and, later, officers in the Israel Defense Forces. They served as a source of inspiration and an object of emulation for an entire society. Almog’s source material is rich and varied: he uses poems, letters, youth movement and army newsletters, and much more to portray the Sabras’ attitudes toward the Arabs, war, nature, work, agriculture, cooperation, and education. In any event, the Sabra remained central to the founding myth of the nation, the real Israeli, against whom later generations will be judged. Almog’s pioneering book juxtaposes the myths against the realities and, in the process, limns a collective profile that brilliantly encompasses the complex forces that shaped this remarkable generation. Oz Almog is a senior lecturer in sociology at Emek Yezreel College, Israel. He is the author of The Linguistic Culture of the Kibbutz Youth (1993).